Samsung's experiment made consumer product, the Galaxy Note Edge, is already available in international unlocked versions and through AT&T, T-Mobile, and Sprint. The next American carrier to bite on the device with the curved screen is US Cellular, which will start selling the Note Edge on Wednesday. A standard two-year contract will get you the phone for a hefty $399 (which is actually in line with AT&T and Sprint's contract pricing), or you can split the payments up into undisclosed bits with no money down. The press release didn't mention a non-contract price, but the unconventional phone runs between $850 and $950 elsewhere. If you need a refresher, the Note Edge is mostly identical to the Galaxy Note 4, with the addition of that distinctive partially curved screen that slides onto the bezel and some extra software to take advantage of it. The AMOLED screen itself is slightly smaller at 5.6", but its resolution is actually a bit larger thanks to the 160 pixel strip on the side (2560x1440 standard area). Underneath is a 2.7Ghz quad-core processor, 3GB of RAM, 32GB of storage plus a MicroSD card slot, and 16MP and 3.7Mp cameras on the rear and front, respectively. Software is Android 4.4 plus Samsung's skin and apps, plus even more customized apps to display information and selectable tools on the curved portion of the screen. In David Ruddock's review, he found the Galaxy Note Edge to be more of a gimmick than a genuine innovation, with the extra functions on the curved portion of the screen offering very little in terms of functionality. Compared to the Galaxy Note 4, the Edge offers a few interesting tricks that, for most users, won't justify the extra cost. Still, if you must have the absolute newest device in a unique package, US Cellular will be more than happy to oblige later this week. CHICAGO (Jan. 5, 2015) – U.S. Cellular (NYSE: USM) has announced that the Samsung Galaxy Note® Edge will be available in stores and online on Wednesday, Jan. 7. Samsung’s first smartphone with a curved Edge display will come in Charcoal Black, and qualified customers will be able to add it to their Shared Connect plan and get it for $0 down using U.S. Cellular’s equipment installment option. It will also be available for $399 with a two-year contract. The Galaxy Note Edge has a beautiful, curved scrollable screen that wraps around the right edge of the device, providing quick access to frequently used apps, alerts and device functionality so you can do and see more. It has a brilliant 5.6” Quad HD Super AMOLED® display that lets you immerse yourself in your favorite movies or videos, while customized notifications show up on the Edge screen without interrupting your viewing. Its 2.7GHz Quad-Core processor, 16 megapixel rear-facing camera and 3.7 megapixel front facing camera make it a powerful smartphone perfect for work or play. 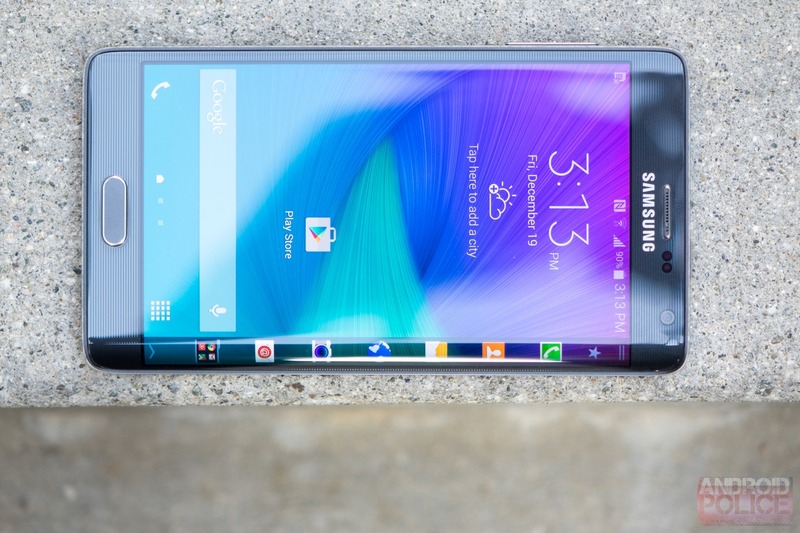 The Galaxy Note Edge is also equipped with all the advanced features of the new Galaxy Note 4, including a precise S Pen™ with mouse-like functionality, Samsung’s Multi Window™1 feature which allows consumers to interact with multiple apps simultaneously, and Adaptive Fast Charging2, the fastest charging available on a Samsung phone. With U.S. Cellular’s $0 down equipment installment option (for qualified customers), customers pay tax on the Galaxy Note Edge at the point of sale, and then make 20 monthly payments that are conveniently added to their wireless bill. Customers can upgrade this device in as little as 12 months if they trade it in for an updated model, and they can also choose to pay off the full balance of their device anytime they want.